Here's your chance to show that sidekicks rock! 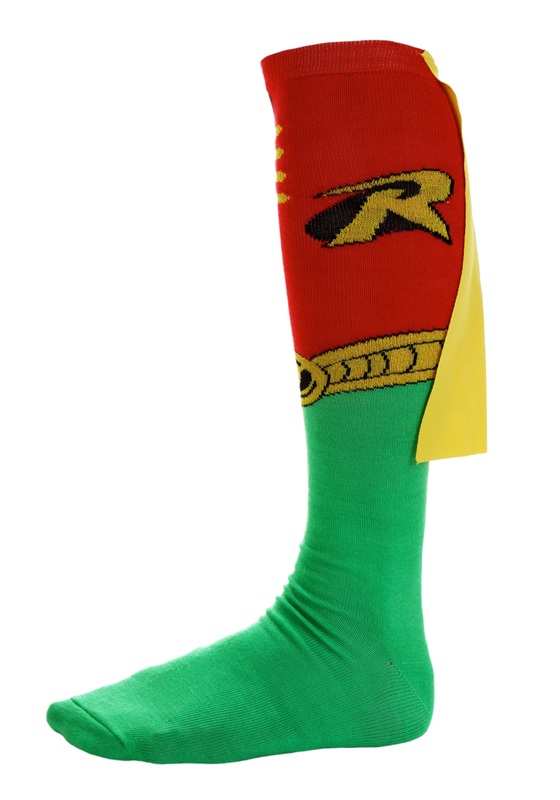 These socks clearly display the Robin logo and have mini capes attached so you can look like half of the dynamic duo. Boldy display them with shorts or a skirt, or wear them under long pants to keep your crimefighting ambitions under wraps. People will understand your passion when they see your sock capes fluttering as you dash by them!